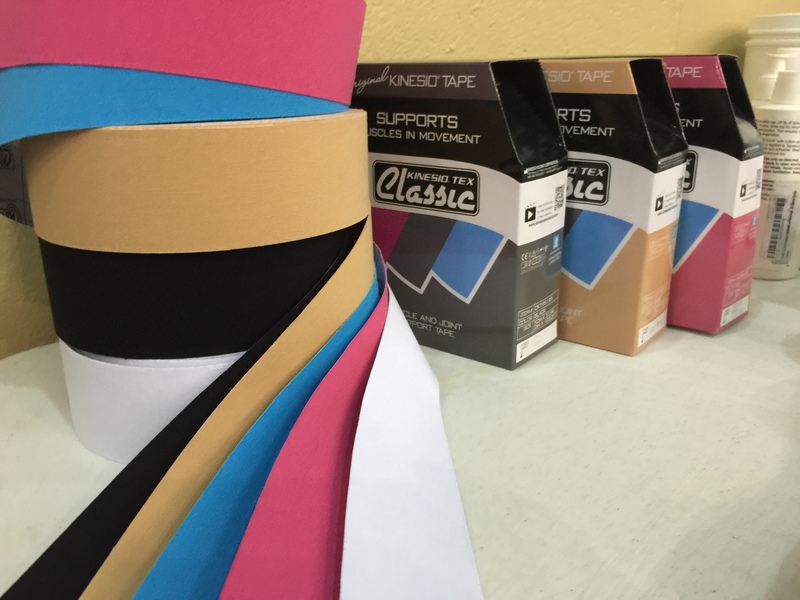 The 2016 Emerald City Classic Volleyball Tournament! 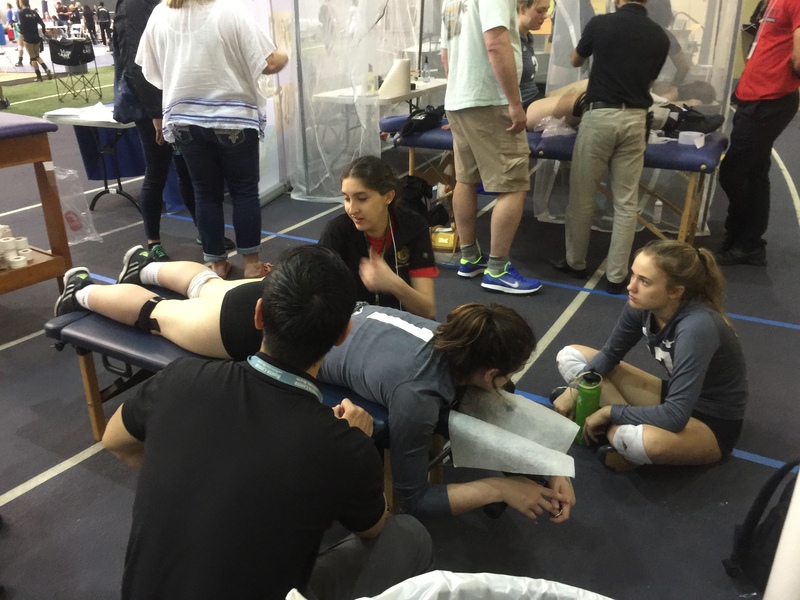 This past Memorial Day long weekend, the Bastyr Sports Medicine Club returned to the ECC volleyball tournament for the 7th consecutive year to provide voluntary sports medicine, medical care, and first aid care to over 2000 athletes aged 11-18. A total of 200 volleyball teams from several states, including Washington, Oregon, Idaho and Montana, as well as from Canada, were invited to participate in the three-day tournament. Lead by medical director and lead supervising physician, Dr. Masahiro Takakura ND, DC, LAc, and supervising physician Dr. Calvin Kwan ND, and accompanied by Dr. Andrew Simon ND, Dr. Darci Davis ND, Dr. Amoz Van Dyke ND, and Dr. Hannah Gordon ND, the BSMC club members provided hands on treatment to address a range of conditions, including bruises/contusions, abrasions, ankle injuries, knee pain, hip pain, wrist and finger injuries, ligamentous sprains, meniscal tears, muscle strains, athlete biomechanics, low back pain, neck pain, shoulder pain/injuries, and various forms of tendonitis. 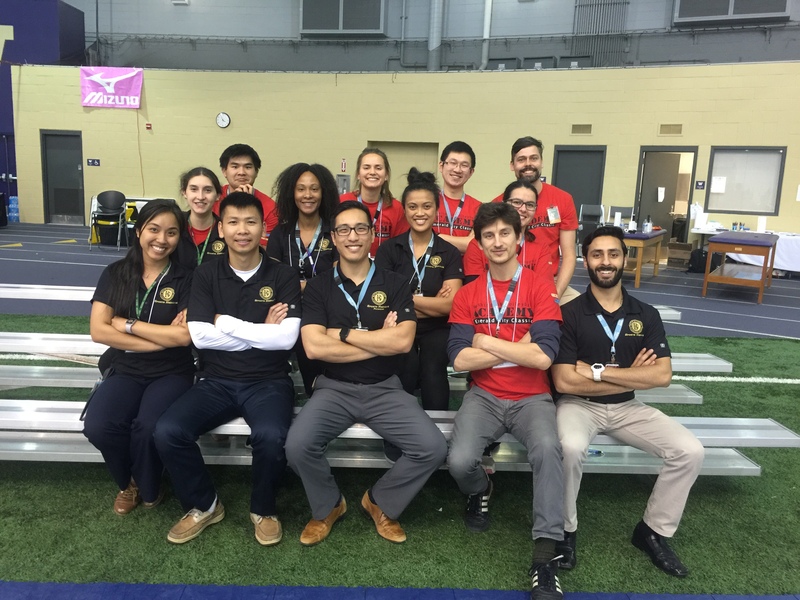 The team of Naturopathic medical students and Doctors also evaluated and referred athletes for possible concussions and fractures. 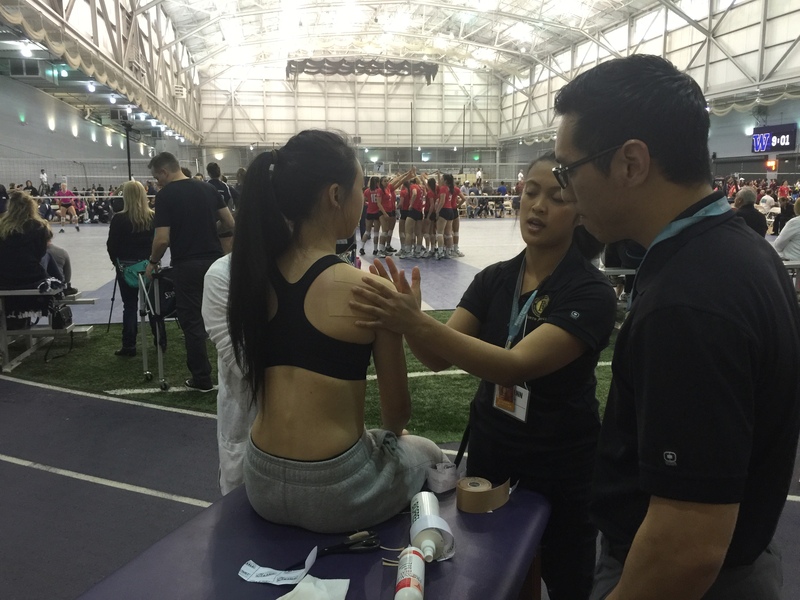 Organized and led by the BSMC leadership team, nearly 30 club members arrived to the Dempsey Arena at the University of Washington over the weekend to utilize their learned physical medicine skills and provide care for the athletes who played several games throughout the weekend. 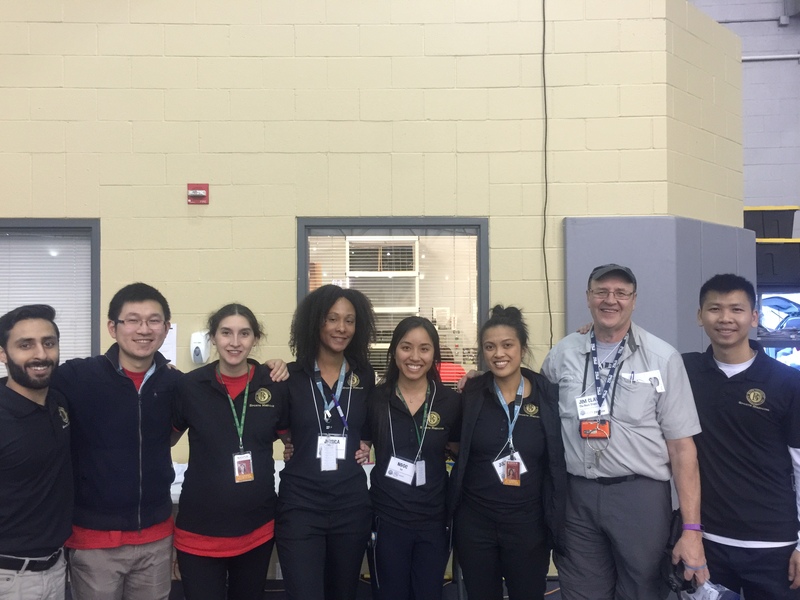 The BSMC club members spent 2 months planning, training, and prepping for this event. Students from Bastyr’s San Diego campus, and the sports medicine club from Bastyr San Diego, also made the trip up to Seattle to join in on the action! 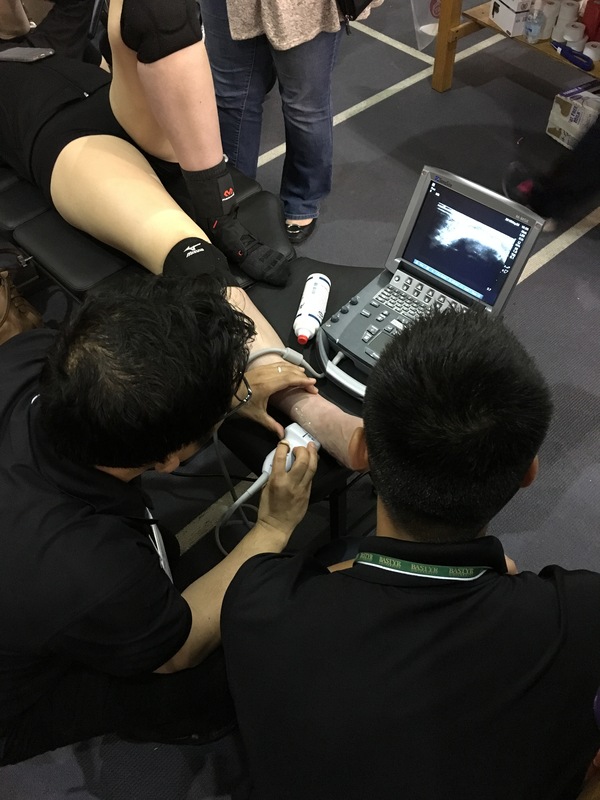 Over nearly 35 hours of total service time, the students worked through quick physical assessments, ruling out injuries and emergency cases, and used a wide variety of physical medicine modalities to help treat the athletes. 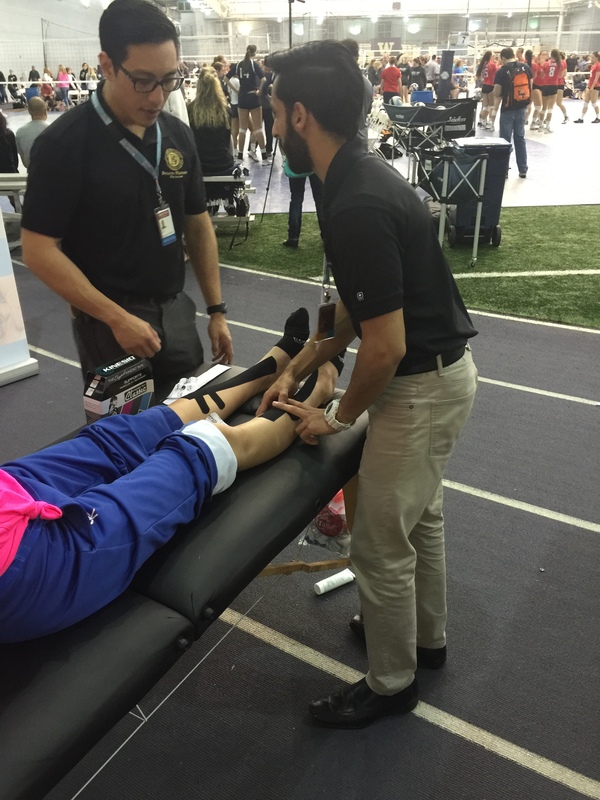 These modalities included ice therapy, cold friction rubs, soft tissue mobilization and myofascial release, muscle energy stretching and neuromuscular reeducation, naturopathic joint manipulations, craniosacral therapy, athletic taping, and Kinesio taping. 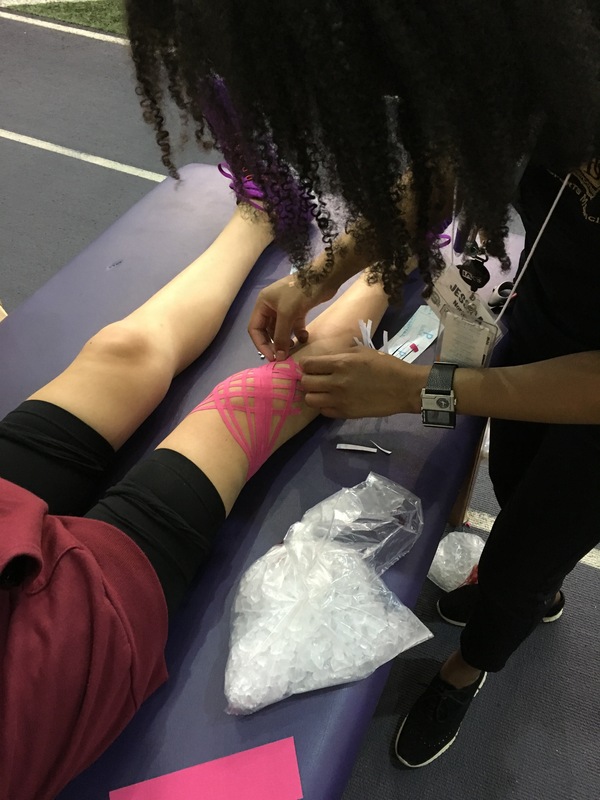 Along with practicing these skills, the students practiced their history taking, physical exam and orthopedic exam skills, neurological evaluation of concussions, triaging acute injuries, and working in a team to provide optimal medical care! 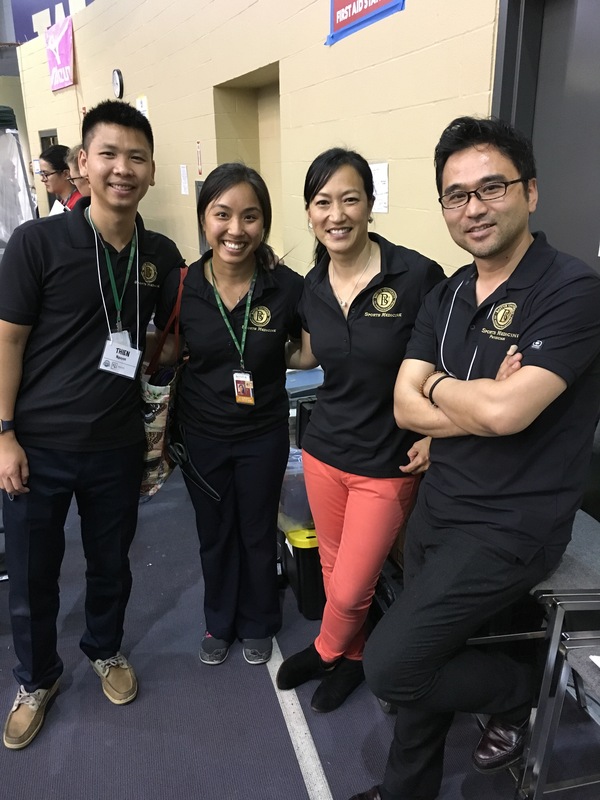 Further, the naturopathic medical students also provided appropriate follow-up treatments and recommendations such as home exercises, stretching, and appropriate medical referrals for conditions that needed more follow up. The high number of patient contacts was a tremendous opportunity for students to hone in on their medical decision-making skills and gain valuable feedback from the supervising doctors. 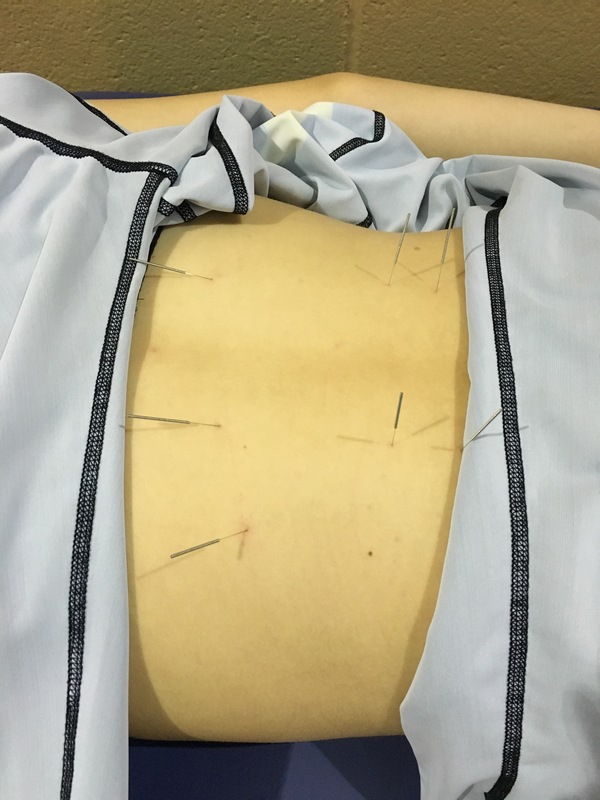 As done so in previous years, BSMC also worked alongside the Bastyr TCM Sports Medicine club, supervised by Sofina Lin, LAc, providing integrative Naturopathic sports medicine and traditional Chinese medicine to help treat the volleyball players! There was also a great collaborative effort to communicate with the volunteer EMT of the event on first aid cases. All in all, it was a tremendous display of collaboration between the various medical teams present at the tournament. BSMC would like to give a big thank-you to our supervising physicians and practitioners for taking the time out of their day to help medical students practice their skills and gain valuable real world experience. Also, a huge thank-you goes out to Jim Clavadetscher, ECC event organizer, for once again inviting us out and allowing us to practice our medicine. We look forward to re-joining the ECC team next year for an even bigger and better event!